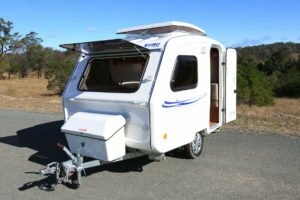 Euro Caravans are extremely lightweight and are towable by virtually every car on the road. 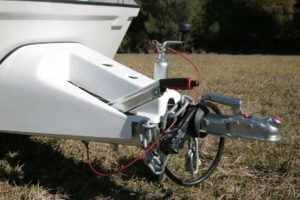 The lightweight materials and compact design make this caravan ideal for even the longest journeys. The practical European fabrics are made in contrasting Macaroon and Latte designs, enabling an instant conversion of the interior seating colours based on your preference. Fully complying with all Australia fire regulations, the mattress foam provides an ideal place for a good nights sleep or somewhere to relax during the day. Enjoy all the luxuries of the best quality fittings and appliances available. 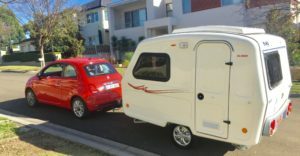 This compact caravan is small to save you money, but travels with the best in comfort and reliability. 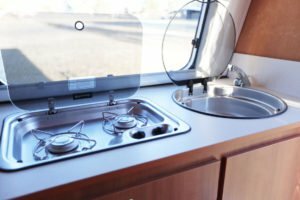 3-way Dometic fridge, grill and sink are fitted as standard in all caravans. These appliances come with service books and full manufacturer warranties. Euro Caravans are ready to go, just open the door and you are ready to relax. 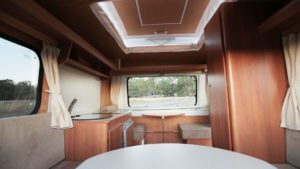 All models include a double dinette, storage, lights/power, windows and seating that converts into very comfortable sleeping quarters. Its one-piece GRP body gives a phenomenal 25-year PLUS life expectancy. Built fully from polyester you are guaranteed maximum strength, durability and water resistance. We even provide a 5 year warranty on leaks after your first service.